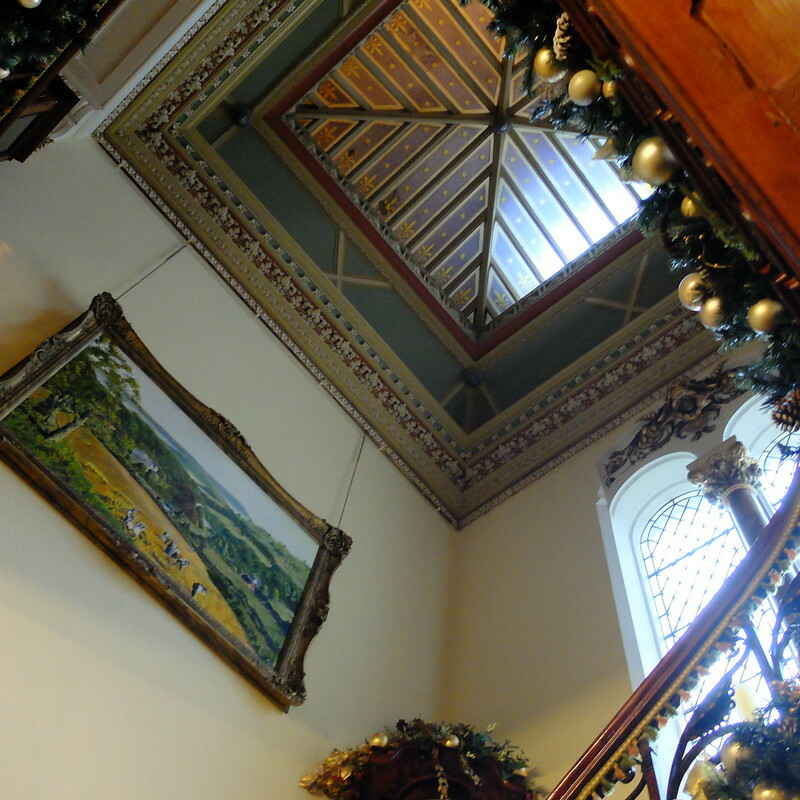 I am off work for two whole weeks over Christmas, and to help us get in the festive spirit I decided to take my husband on a day trip to mid Wales, to see the Hall at Abbey-Cwm-Hir. Open to the public, this historic gothic Victorian mansion is a family home owned by a retired couple with a penchant for collecting just about anything. 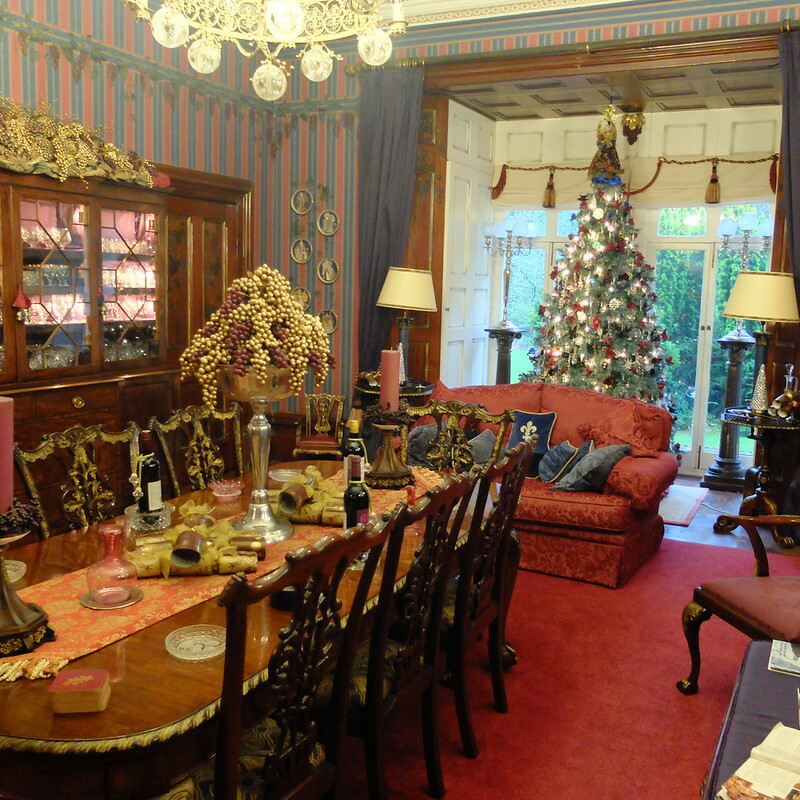 Each year, the 52 rooms of the sprawling house are decorated from top to bottom for Christmas. Located in a small village that was the site of a Cistercian Abbey back in 1143, the house was originally built in 1833 by a gentleman farmer, and has been subsequently extended and lived in by many different families. 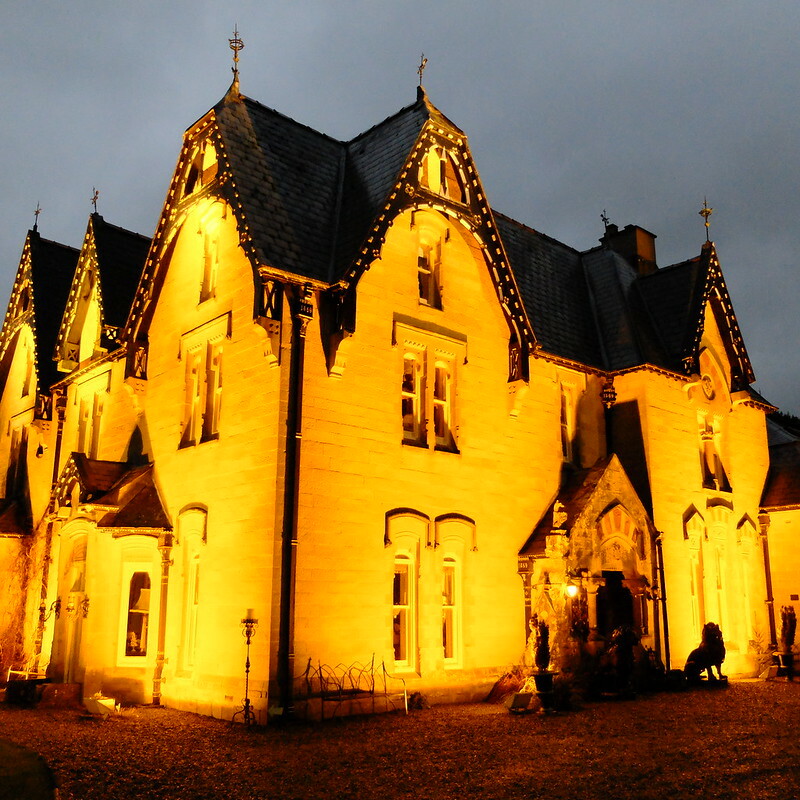 The present owners bought it back in the mid 1990s for just £400,000 (which by today's prices would be about £687,000 - an absolute steal for a 52 room gothic mansion!!) and have lovingly re-decorated it over many, many years, using the services of an artist, soft furnisher, and painter-decorator. 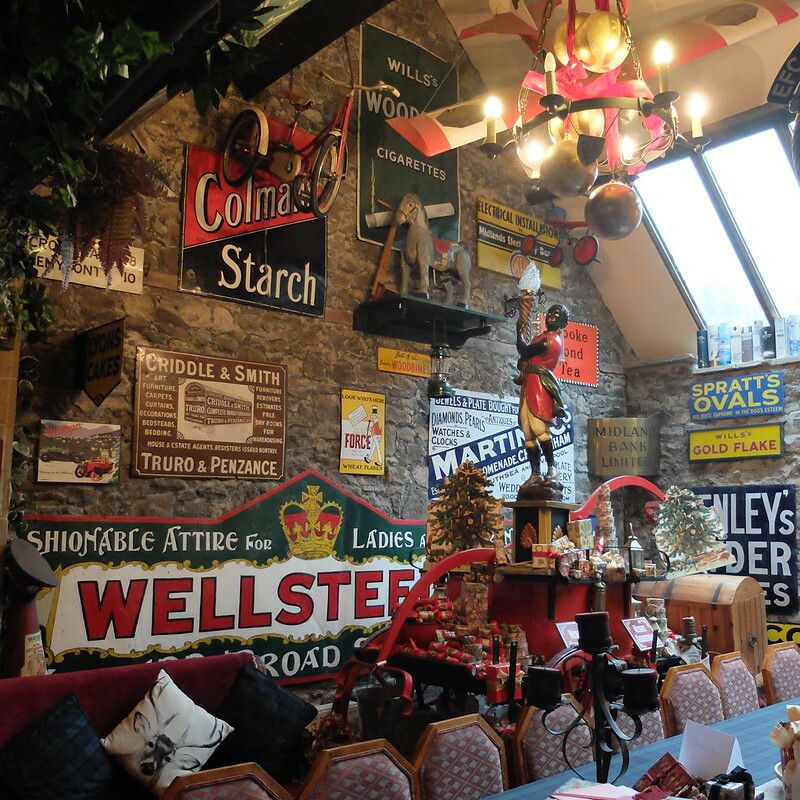 Their collections include vintage signs, china, hats, gramophones, dolls houses, vintage books, wine, taxidermy and much, much more. 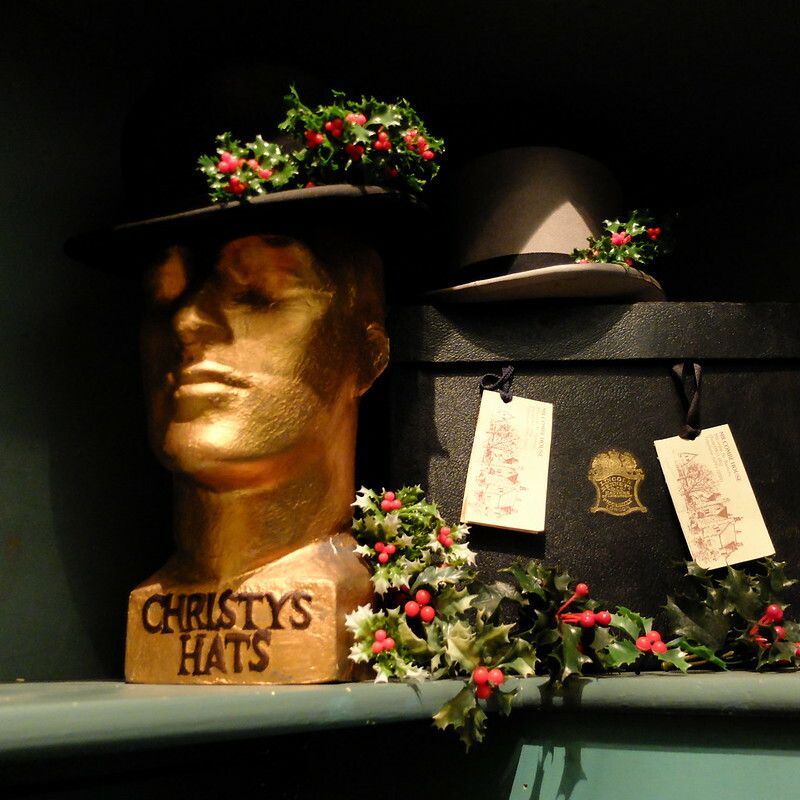 The lady of the house is obviously quite a fashionista, with an old shop-counter in her dressing room housing her many scarves and gloves, with names like Christian Dior catching my eye. I say 'dressing room' - it's another bedroom really, with its own fireplace (replete with '40s busts), sofa and armchairs. 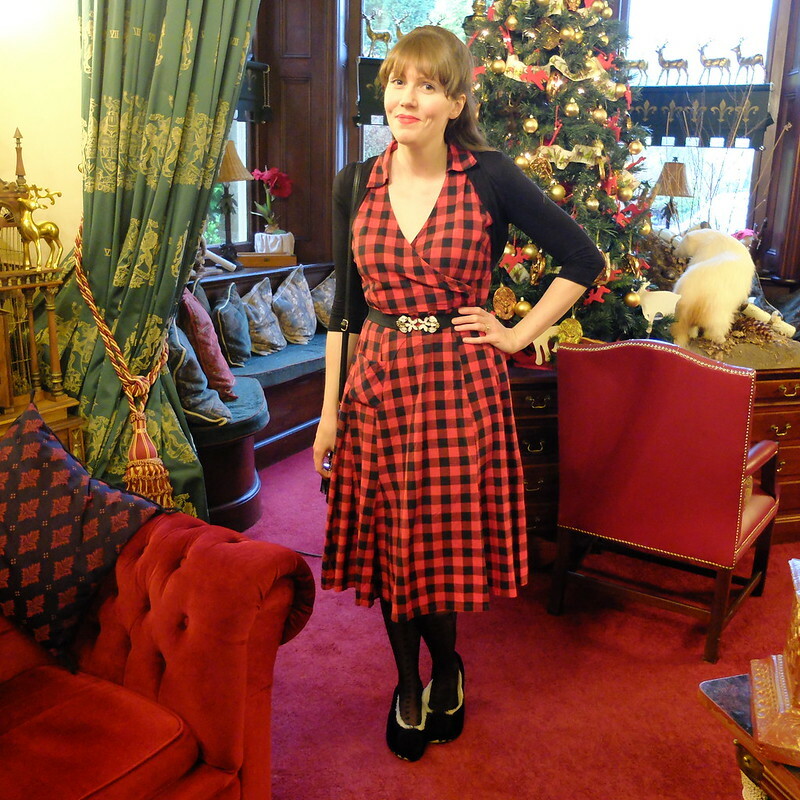 I wore a tartan dress that I picked up in a charity shop for a few quid. You might have spotted that we're wearing our slippers - outdoor shoes are not allowed in the house! The difference with this house from the many historic mansions around the UK is that it is lived in, loved and used. At the start of the tour we were told we could take as many photographs as we wanted, sit on any chair when we needed a rest, and to take our time with looking around each room. You really do feel as though you're a guest of the family rather than a tourist. Because there's no large organisation funding the house, they've done the best job they can themselves with decorating and restorations, and their passion really is to be commended. Remarkably, the collections in the house are ones gained entirely by physical rather than online shopping - the owners don't use the internet! They're obviously shopaholics, who can't resist a bargain (even if it's a bargain just by Harrods' standards), but their sense of fun really comes across in their beautiful home. 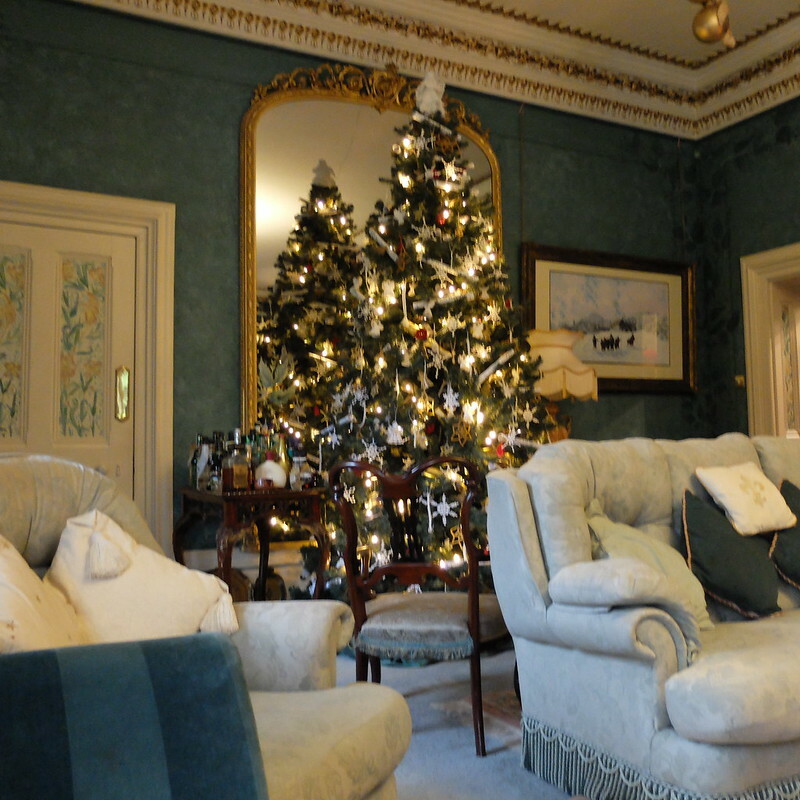 Even if it's not Christmas time, there's a lot to see in the house itself, and in the 12 acres of gardens (which we didn't get to see, as it was dark when we finished our tour). 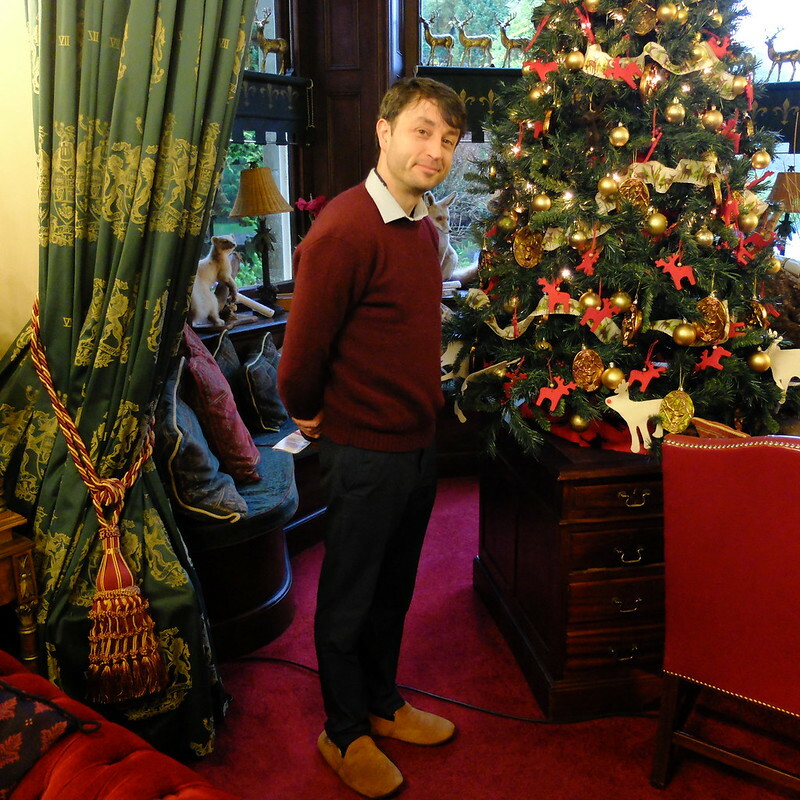 We really loved our visit, and it definitely bumped us up a few notches on the feeling-festive scale! Wishing all of you a Merry Christmas, thank you for all of your visits and comments in 2015, and I look forward to connecting with more of you in 2016! 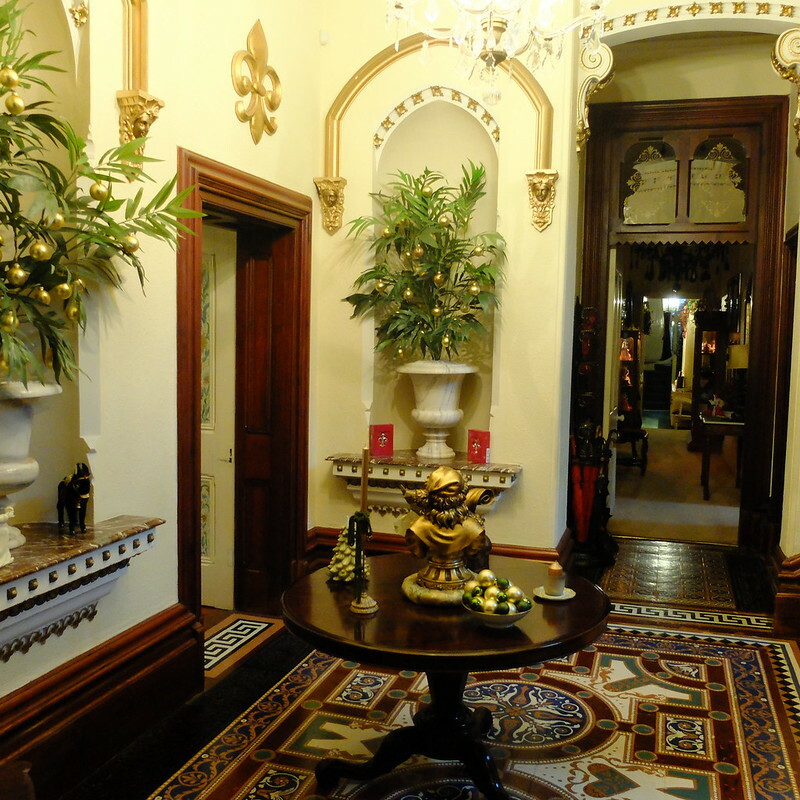 Tours cost £16, and the house is open daily throughout the year - but check as in some months group bookings only are taken while the house undergoes maintenance. 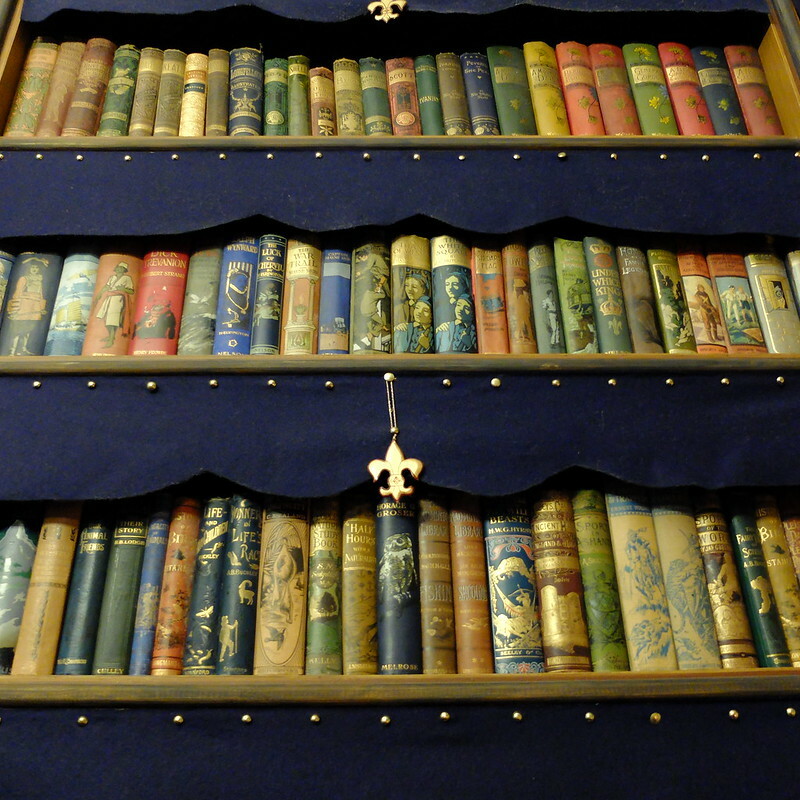 Oh how beautiful, and just look at these books! 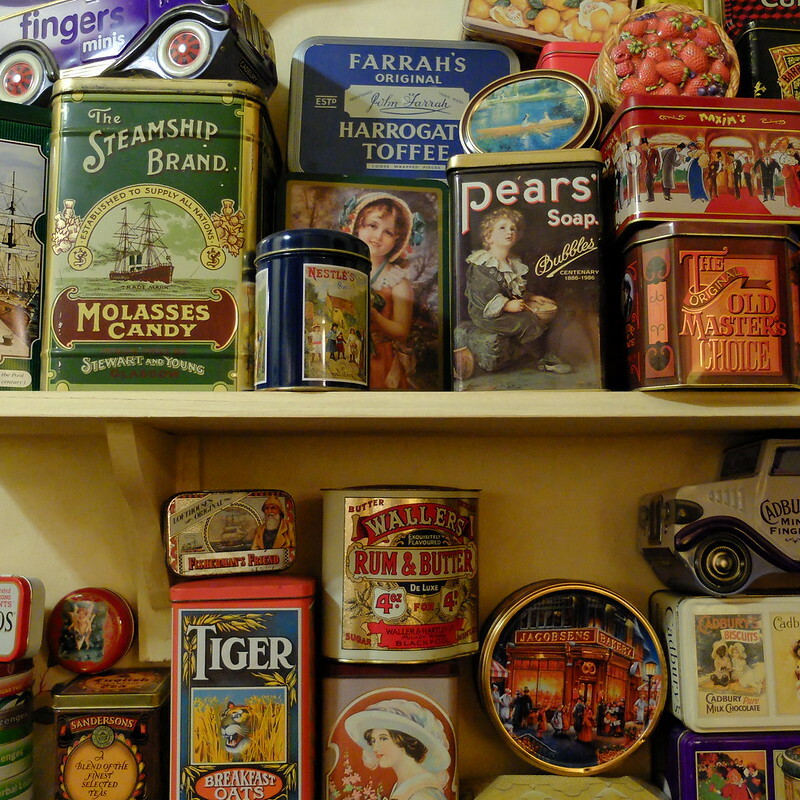 I have a total soft spot for vintage packaging too. I wouldn't mind using a bedroom as a dressing room that's for sure, I might acutally be able to see everything I own for once! 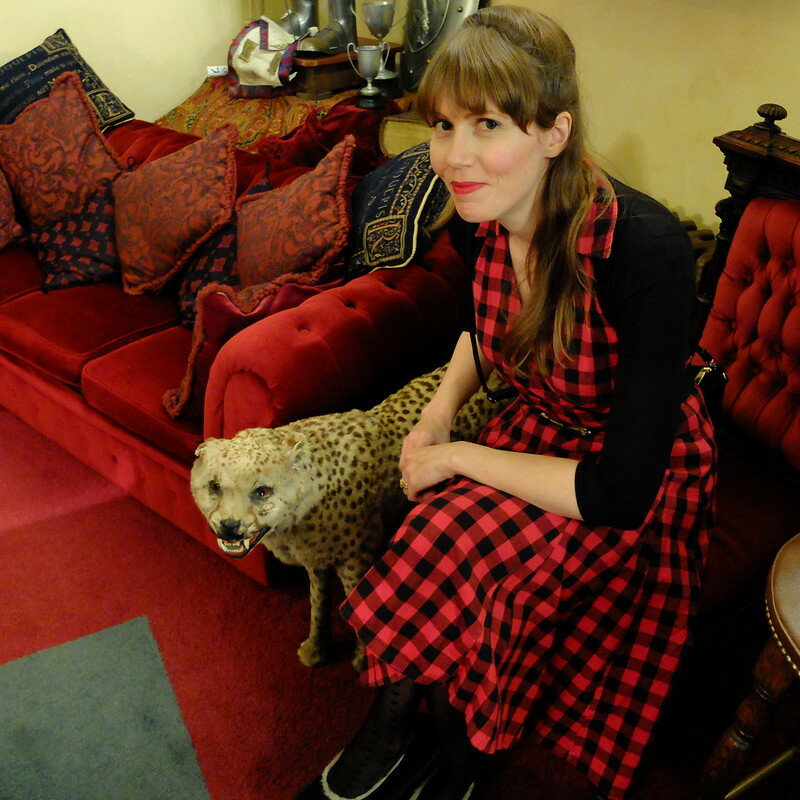 That dressing room is staggeringly lovely. 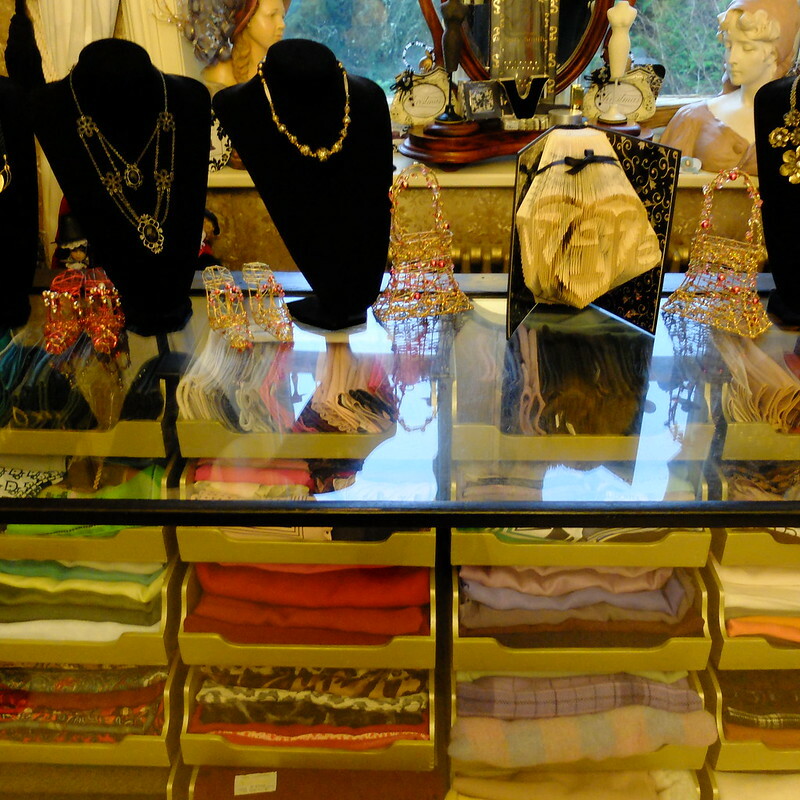 I have officially added a similar glass display counter to my fantasy closet/dressing room wishlist. What a cool, creative idea. Happy Boxing Day wishes, sweet lady! Gorgeous house! You always have the most wonderful places to visit where you are!